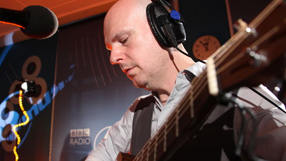 Radiohead drummer and all around good guy, Phil Selway, recently talked with BBC 6 Music about his recent solo work. During the interview, he hinted that Radiohead may be in for some live dates soon, saying that the band has been discussing doing more shows after their recent Glastonbury performance. When asked whether the slot on the Park Stage had whetted their appetite for a potential tour he admitted it had. “Absolutely that is what we are talking about at the moment, it felt exciting doing that and it felt like we had something else to offer musically. After the jump, you can listen to Phil’s interview and also learn more about his new EP release. Oh, and for good measure, we’ll throw in a video of Radiohead’s recent Glastonbury performance. 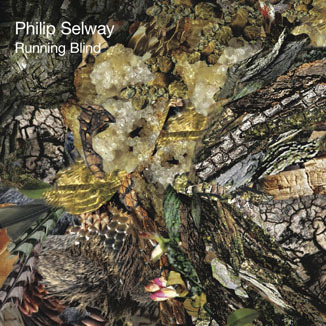 On Monday 25th July (30th August in the USA), I’m releasing an EP called Running Blind. It’s made up of four songs that have been part of my live set over the past year but weren’t on Familial. I wanted to capture how they were sounding. I’m really pleased with the results and hope you like them too. You can purchase a 10″ copy of the EP over at Bella Union. And finally, here’s the video of Radiohead’s performance at Glastonbury, which is made up of multiple fans’ videos. Enjoy! Previous post: Radiohead Remixes by Lone, Pearson Sound, and Four Tet plus others!